Same old crap. Now we have the vinylsts. I freaked out a couple of them at Amoeba records in L.A. They were feverishly going through a vinyl section. I told them vinyl was yesterday, and that I was into cassettes. I think they fretted that they were no longer on the hipster cutting edge. They almost threw away their Buddy Holly nerd glasses and shaved their beards. So, a 2 LP release of B&L, then..
Yep - [www.Universal-Music.co.jp] says 20 Records. According to the Japanese picture Exile On Main St., Voodoo Lounge, Bridges to Babylon, A Bigger Bang, Blue & Lonesome are 2LPs. Hm, sure? We see 2 records and 2 inner-sleeves for each double-LP, but only 1 record (but two sleeves) for "Blue And Lonesome". Who cares - I'm waiting for the cardboard tongue. Edited 2 time(s). Last edit at 2018-04-25 18:45 by Irix. Edited 1 time(s). Last edit at 2018-04-25 17:55 by DandelionPowderman. It’s not quite as simple as running everything at half rate. There is an EQ curve applied to all vinyl records and by running the lathe at half speed, all the frequencies are wrong. However, the technical staff at Abbey Road Studios have had new custom-built filters installed which allow Miles to practice half speed cutting to the full on a modified Neumann VMS-80 lathe. " Does this mean they don't use the remasters from 2009 which were used for the CD's? Edited 1 time(s). Last edit at 2018-04-25 18:01 by jackflash27. Nice to hear the B&L-track in there! An autographed edition of Dirty Work? If some of these records will have the same great sound quality as the Exile edition that was remastered at Abbey Road, then I guess we're in for a (expensive) treat. Exile was mastered from digital files not directly from tape. What was the source for this record? 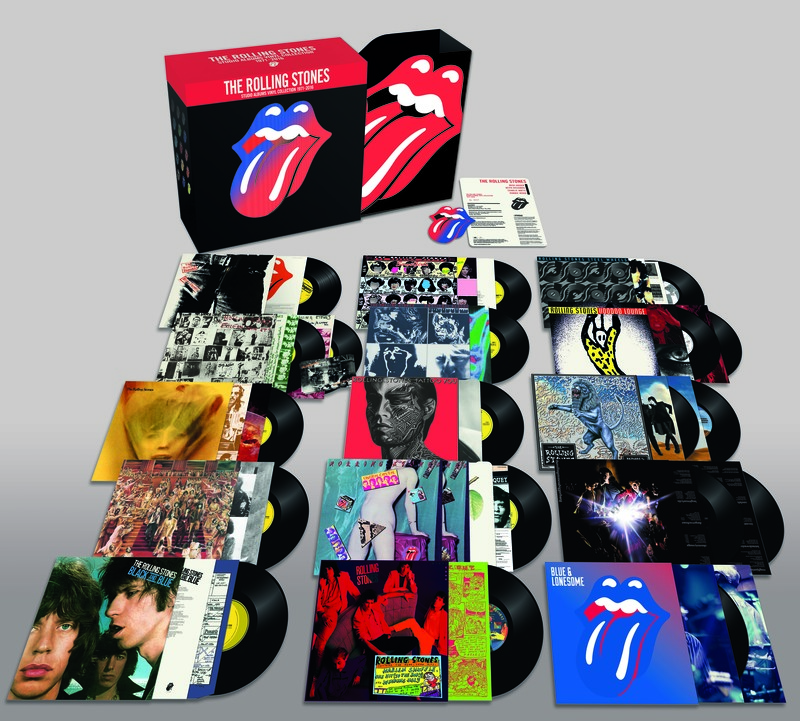 24bit/96khz digital transfers supplied by the Stones made from original ¼” tapes. Maybe that's the reason why they have meanwhile removed the new Promo-Video from YouTube. It was posted on the official RS-YouTube-Channel on 25-Apr-2018, but not listed. The Stones have been drowning in greatest hits compilations over the years. And in the modern era it's interesting how quickly they can go out of print. Nothing is sacred! This 15-album vinyl collection is for rich guys to put up on their shelves and stare at. For those that lust over the "true sound" I read something about a year ago that was very interesting. A band would release the stereo master of their new album and then go to the factory to get it cut on the cutting lathe. And invariably the production engineers had to shave off some of the low end because low frequencies eat up much more vinyl real estate than high frequencies. To get the music to fit onto the album they had to do some kind of "production equalization." So that implies that all though the Sixties and Seventies the music you have been listening to is not the "true expression of the artist" relative to how they mixed it down on their studio monitors. So get ready to dish out more bucks! The "true" releases will be coming out in FLAC 24-bit 96 kHz in a few years for you diehards and they have never been heard before! P.S. : I am in my late fifties and I found a YouTube clip to test your ears for loss of ability to hear high frequencies as you get older. To my shock and dismay I can't hear above about 11.5 kHz. So I can't even hear the upper end of a boring old CD. There is not going to be a Pono player in my future. It's called: 'RIAA equalization' - [en.Wikipedia.org] . No, I'm pretty sure what I am talking about and the RIAA equalization are two separate things. The RIAA equalization is a filter/inverse-filter system to lower the gain on the low frequencies when cutting and then boost it during playback. This is a generic system for reducing the low-frequency real estate when cutting records. The problem is that even with the RIAA equalization the music still wouldn't fit on the record. Hence the need for the "production engineer low frequency shaving" to make it fit and it was out of the control of the artist. I view this as a "hidden" compromise associated with vinyl that nobody wanted to talk about. I don't know anything about the SACDs releases so I will take your word for it. However, aren't all SACDs out of print though and the format is dead? There is not going to be a Pono player in my future. Yours or anybody else's. Neil Young announced last year that it was being discontinued. I know and I get some Brownie points because I predicted it would die a quick death before it was even released. No, I'm pretty sure what I am talking about and the RIAA equalization are two separate things. However, aren't all SACDs out of print though and the format is dead? No. Go to [www.CDJapan.co.jp] , search for Rolling Stones and set the filter for SHM-SACD (11) or Hybrid (1) . In Europe they're available at jpc.de . Interesting how in the Disco era they started releasing 33 RPM 12" singles with one six-minute song filling up a whole album side. Now those babies had no low-end shaving for sure. And they were needless to say very robust. And you had a real opportunity for some cover art. And I think some companies took it one step further and released 12" singles at 45 RPM. You must have a pair of SL-1200 turntables suspended in air on big elastic bands also! It's the only way to go. 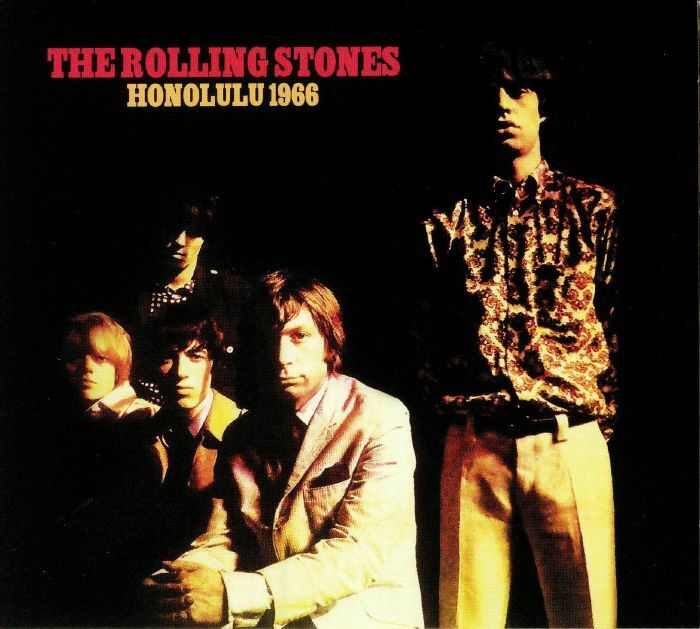 Looking at jpc.de, I've found this lp "Honolulu 1966" with a funny front cover. Is there world war IV in mick's trousers? I think the latest releases are double albums because the length of the CD was to long to fit in one album. Why didn't they give us the original "banned" Some Girls cover?